Subscribe to ClothingPatterns101.com for tips and advice! 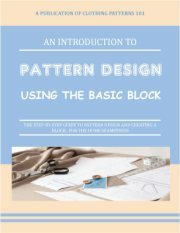 There's tons of free info available here at ClothingPatterns101.com. In fact, it can get a bit overwhelming at times! Where do you begin, what steps do you take to draft a pattern from start to finish? It can be confusing, jumping from page to page and trying to follow everything presented here. Subscribing to my newsletter can help. I'll send tips and videos periodically that will help you understand some of the finer points of making a professional-looking pattern. I'll only send an email when I have something to share - I won't bombard you with useless spam! But first, you'll start receiving a series of e-mails that will guide you through the website. These e-mails (sent every few days for about 6 weeks) will help you navigate the site, following the steps involved in making your design come to life. Because, what good is a great design if you can't make it happen? We'll also let you know when we're having a sale on our in-depth tutorials. But don't worry - if you decide you're not interested, you can unsubscribe at any time (there's a link to do that at the bottom of each e-mail). Use the sign-up box below and get started now! Whether you decide to subscribe or not, you're welcome to this free e-book about the process of design, to give you some inspiration and help you get started in creating your own fashions. 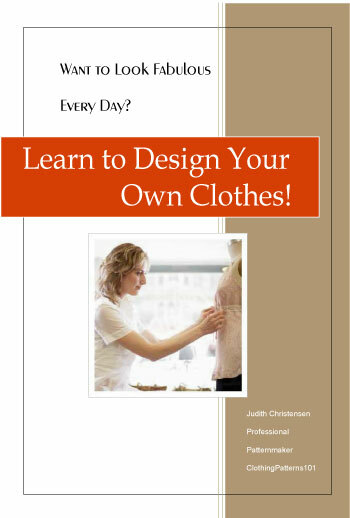 Just click on the e-book cover, below, to download your free copy of Learn to Design Your Own Clothes! 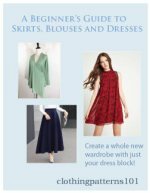 Get lots of ideas for dresses, skirts, and tops. Learn how proportion affects the look of your outfit, and how fabric can affect the look of your garment. Learn how to find sources of inspiration, from books, movies, TV, the red carpet, and more! Just click on any of the blue links, or on the e-book cover above, to download your e-book. It will open as a pdf file (you'll need Adobe Reader or another pdf reader to open the file). You can save it, download it, or even print it if you'd like!